With December and holiday season right upon us, we are moving into one of the busiest periods of the year. Calendars are packing out, time is getting squeezed and more often than not, emotions, stress and anxiety begins to run high. There’s travel, family and gift shopping, all before we’ve even begun to think about the cooking of the turkey! 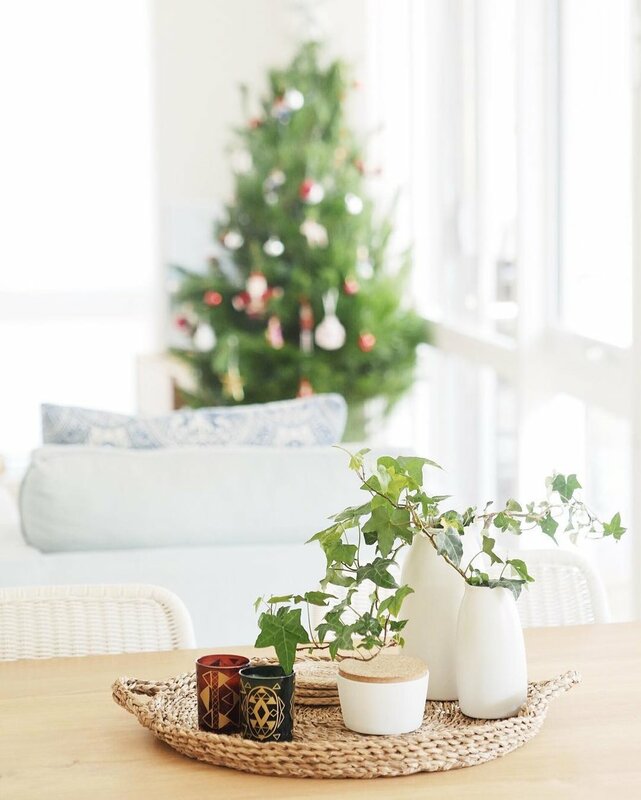 To help you stay grounded, relaxed and make your presence a present as the year closes, we have some top tips to be more mindful over the holiday season. It's time to heed the advice your parents preached growing up: always eat before you go out, especially if you are drinking. When attending functions or events, you often have little control of the food being served, and as much as we cant resist those delicious canapés and strongly advocate intuitive eating (enjoy that Christmas pudding!) if you struggle with food intolerances or are adhering to a nutritional protocol, your safest bet is to fuel up before heading out. Not only will you keep the tummy rumbles at bay, you will find it easier to make decisions that reflect your regular eating patterns. Plus tbh, nobody needs your hangry self at this time of the year! Release those feel good endorphins, shake out a hangover and get some much needed headspace by continuing to move amidst the busy chaos of the holiday season. If you find your exercise regime slipping between your fingers, don’t beat yourself up, just find creative ways to keep moving. Scheduling in your workouts in advance is one way to ensure you have time to hit the gym or your favourite class, but if that becomes a distant dream, adding in a walk commute, a social catch up with old friends over a yoga class or a discovery run around your holiday location are all efficient ways of finding some movement without adding in the extra stress (and guilt) that often accompanies relaxing your training schedule. Coffee in the morning and cocktails at night seems to be part of the DNA of December, but to best honour your body, aim to stay hydrated by hitting the h2o. Our vices are super dehydrating and beyond just aiming to hit your target daily water intake, if you are enjoying a few celebration bubbles, mix in one water after each alcoholic beverage to help your body process and then dispel the added toxins. Between work, functions, parties, reunions and travel, the end of year often brings a reduction in the amount of quality rest time. Add on the extra frazzle of our cortisol rhythms and disruption to our circadian patterns, soon quality sleep and recovery time (which are integral to our optimal functioning) seemingly disappear. To help, become a fan of the nap, allow yourself to sleep in or find moments to rest where and when possible. Perhaps it’s opting for a Yoga Nidra class, an afternoon kip, or skipping one function to choose a lazy night in bed instead. Keep in mind that rest is integral to ensure our bodies don’t consistently work in overdrive and have more negative, long-term consequences. Self-care isn’t all about face masks and bubble baths, it can be as simple as blocking out time in your schedule to slow down and do the simple things that make you feel great and more relaxed. If you just add "self-care" to your to-do list or view it as a selfish action, chances are it will get swapped out for a more pressing engagement (like those catch drinks with a girlfriend back in town) so instead, block out a period where you can regroup and indulge in some self-love time, that way you will be more recharged and present for the next engagement. When the invites roll in and you find a sense of duty emerging that makes you feel like you need to attend every function, family dinner or party, focus on setting boundaries and saying no where necessary, so that you don’t overschedule and over commit. By being clear about what you can attend, you not only stop that awful feeling of attending because you feel you should and you would rather not, but you will also be showing respect to those who you politely decline to, instead of bailing last minute. When you're listening to your uncles story of his glory days, for the fifth time, rolling your eyes at that dad joke constantly on repeat, or in a slightly uncomfortable situation, it's common to find yourself hoping you were “anywhere but here”. Instead of wishing time away, see if you can practice gratitude and pick out the positive in each scenario. Not only are you able to shift your mindset to a more positive attitude, but you will also cultivate a sense of grace and likely be a nicer human to be around! The gift of giving can bring great joy, but in the rush often our presents are seemingly a token that “make do” to comply with traditions. In a society that is consuming and wasting product more than ever, look to shop slowly, over time by selecting meaningful gifts, or better yet creating your own handmade items, which are not only more meaningful but are less likely to be re-gifted. Our money is power, so additionally opting to select consciously created brands can be a mindful practice in the act of giving. Aside from that friend who can’t get enough of the Christmas carols and light displays, tensions tend to run high with frazzled nerves and impatience at every turn. In a bid to counteract these frayed emotions, see if you can practice empathy instead of adding to the tension. From the busy shop staff facing endless customers, to the tired mum trying to find a spot in the packed carpark, everyone is working overtime on short schedules, so be more human and empathetic, building on the spirit and sense of community the holidays may bring. Often at holidays time we are reuniting with friends and family, catching up and checking in. With this comes a lot of communication and discussion. Generally, our loved ones, value a trusted space and kind ear to unload to, when this occurs practice being a good listener and try to listen compassionately. Karma should return the favour one day!